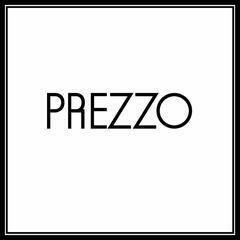 Prezzo are a leading branded restaurant company with a notably sized portfolio of quality restaurants within the UK. <br><br>We are looking for chefs who have a genuine passion for producing good quality food using the freshest ingredients. Someone who delivers day in and day out and is prepared to get stuck in and work within a team.<br><br>We offer: <br>•	50% staff discount in all sites from day 1<br>•	Free meals on shift from generous staff food menu<br>•	Childcare vouchers<br>•	Discounts at local retailers and leisure activities with ‘Salary Extras’<br>•	Prezzo Chef whites provided <br>•	A professional environment with great opportunities for career development at all levels<br>•	Both internal and external training courses and qualifications through our Training Academy<br><br>As a Chef you will:<br>•	Comply with food hygiene and health and safety rules<br>•	Prepare, cook and present our menu to the same high standard every time<br>•	Work well under pressure and as part of the team<br>•	Preferably have experience, although all training will be provided<br>•	Fully eligible to work in the UK<br><br>Come and experience Italian casual dining with a touch of class and enjoy a rich and rewarding career with Prezzo Restaurants. Prezzo Redhill is posting their hospitality jobs on Harri.